Last year, our old Saucony Rep Erin went to work with the brand's product testing lab outside Boston. Next week, she's swinging through town with prototypes for future Saucony models and is looking for feedback from local runners. She'll be holding wear tests on Saturday, February 18th at our Wade Avenue store, and Sunday, February 19th at our Morrisville store. Consumer feedback will be used to modify and perfect designs, so now is your chance to make your feedback count! See below for details. 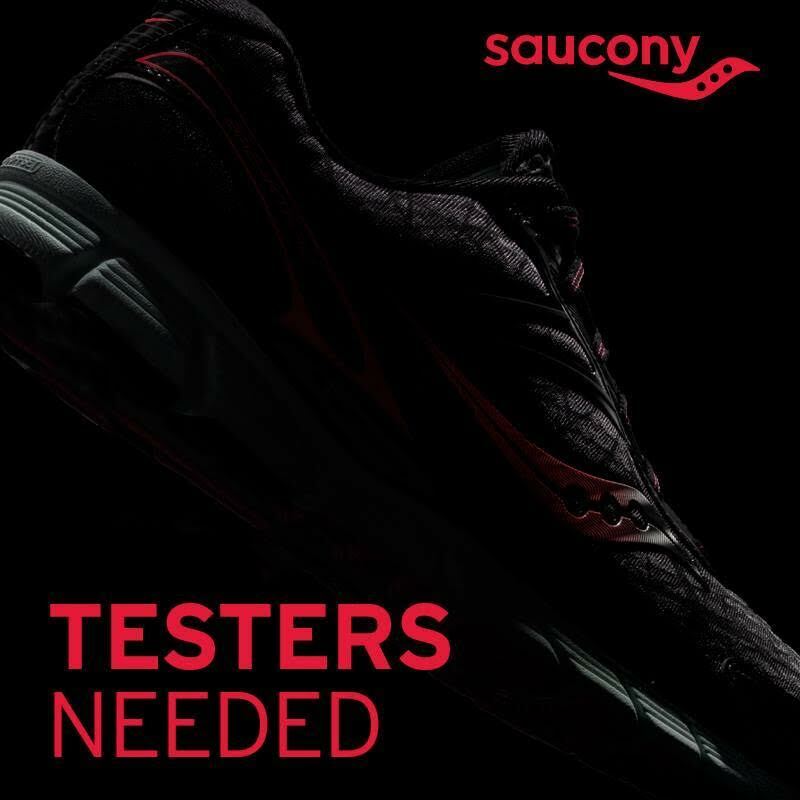 Follow links to sign up for a wear test appointment. Two-to-three 10-15 minute outdoor runs, with questionnaires to follow each run. Each session will take about one hour to complete.